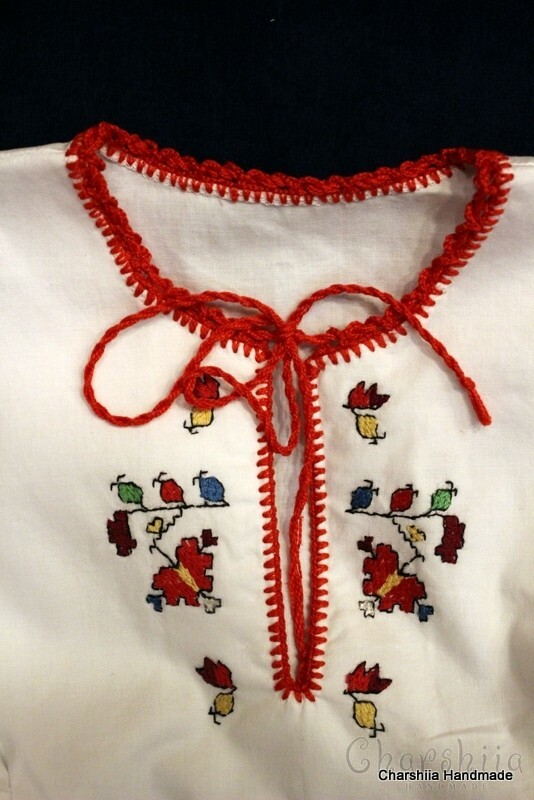 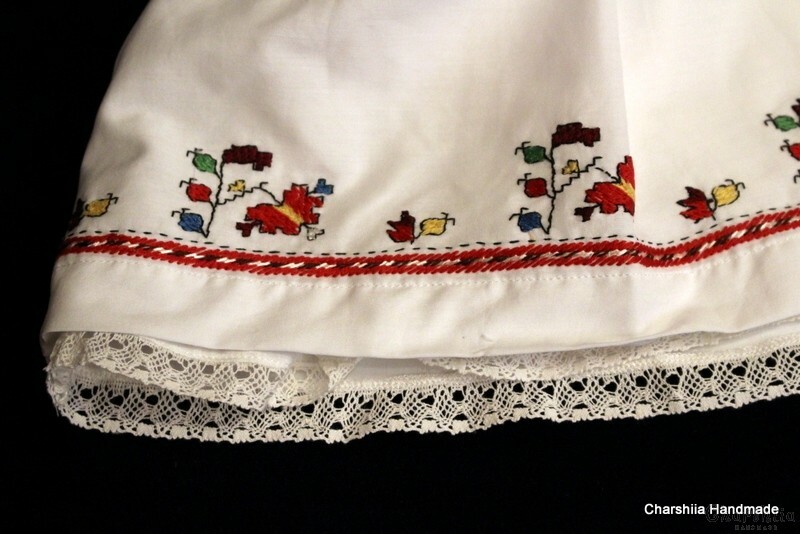 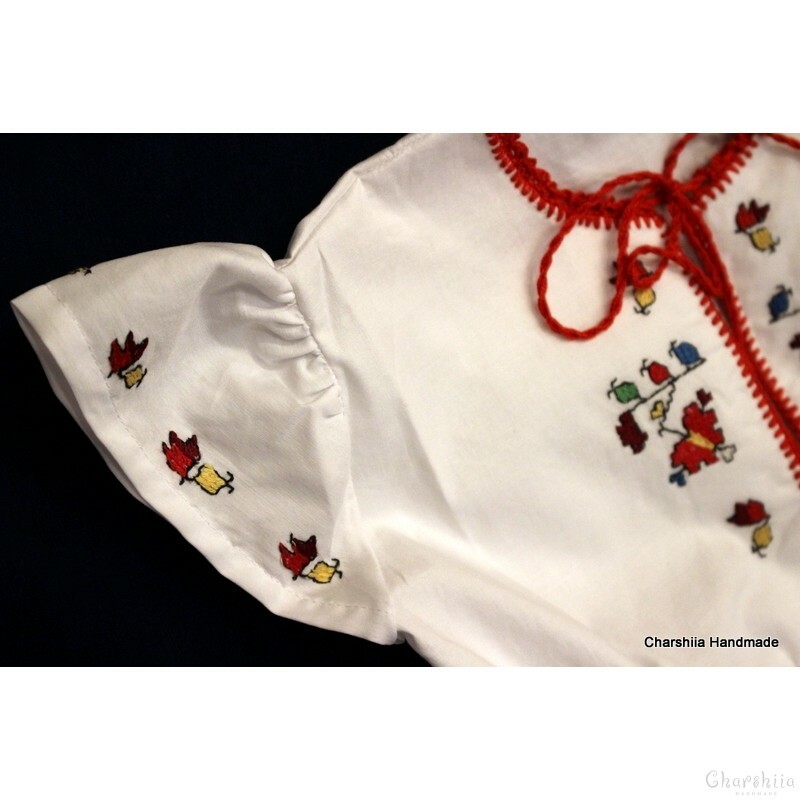 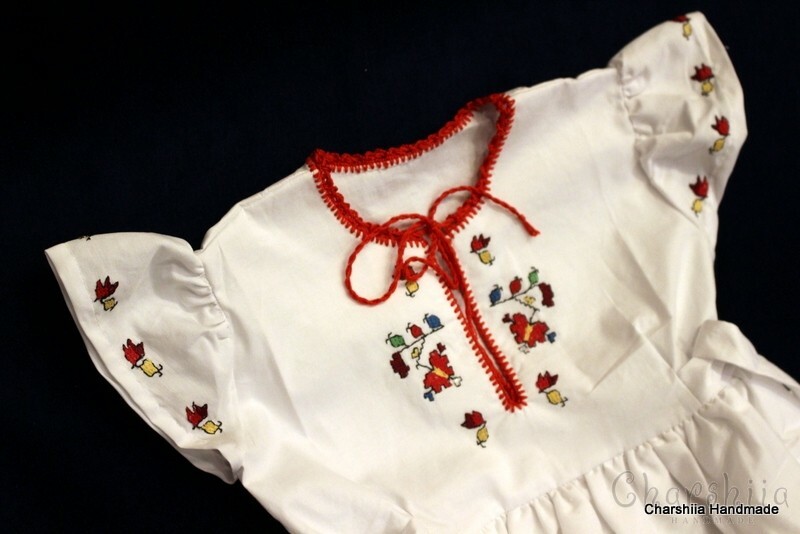 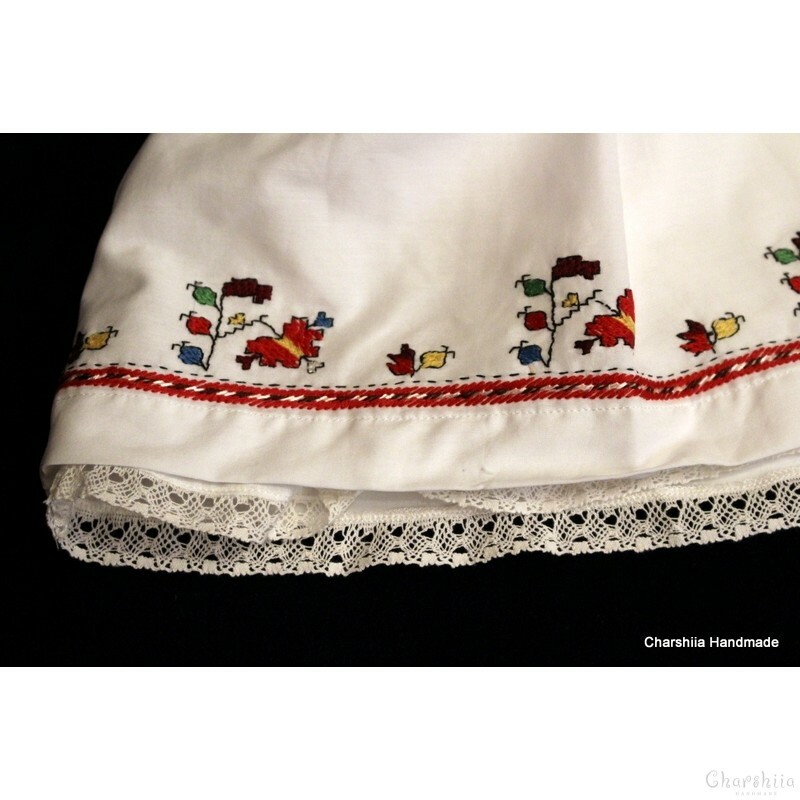 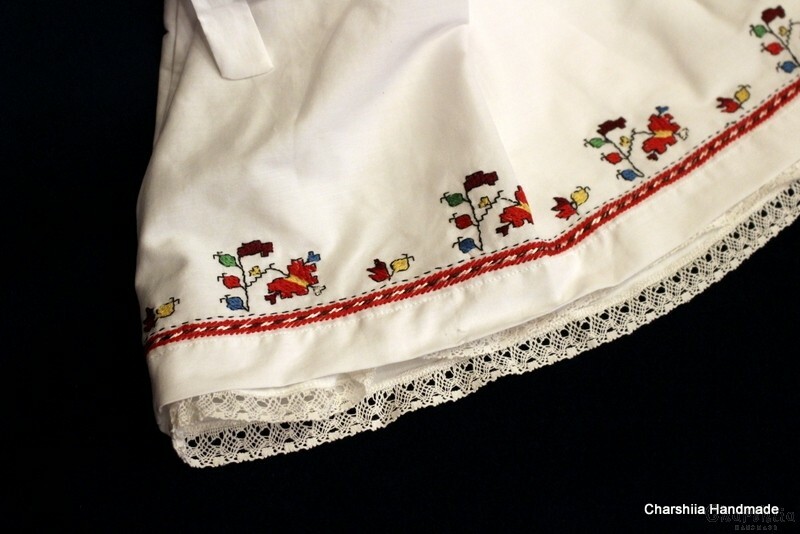 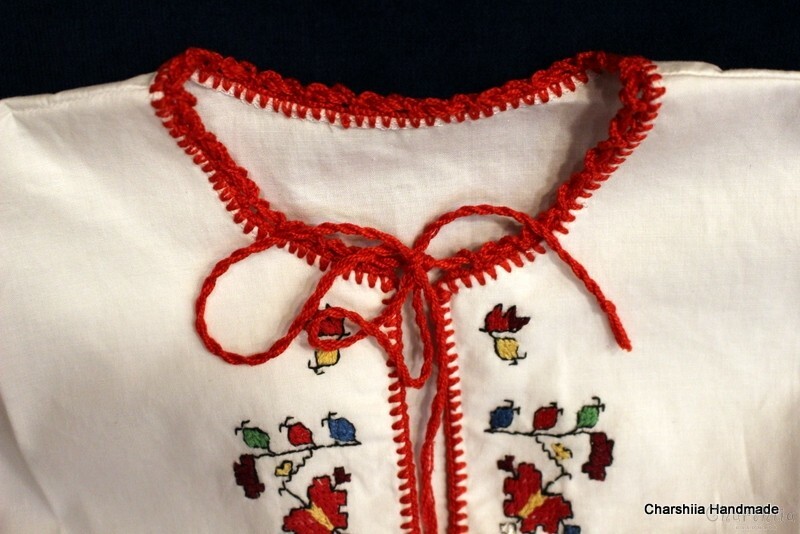 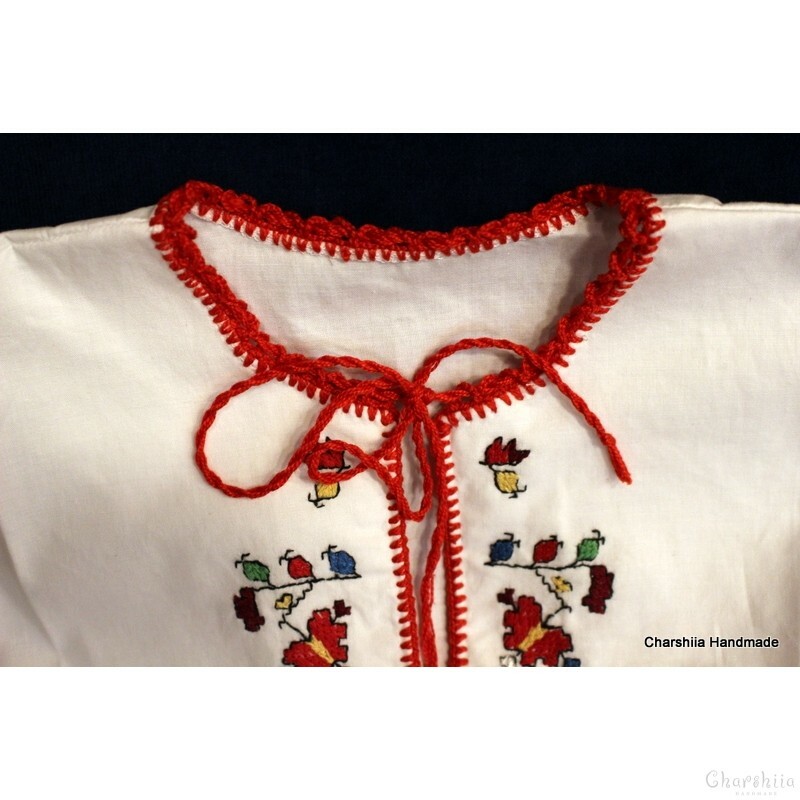 technique: Handmade embroidery with traditional Bulgarian designs. 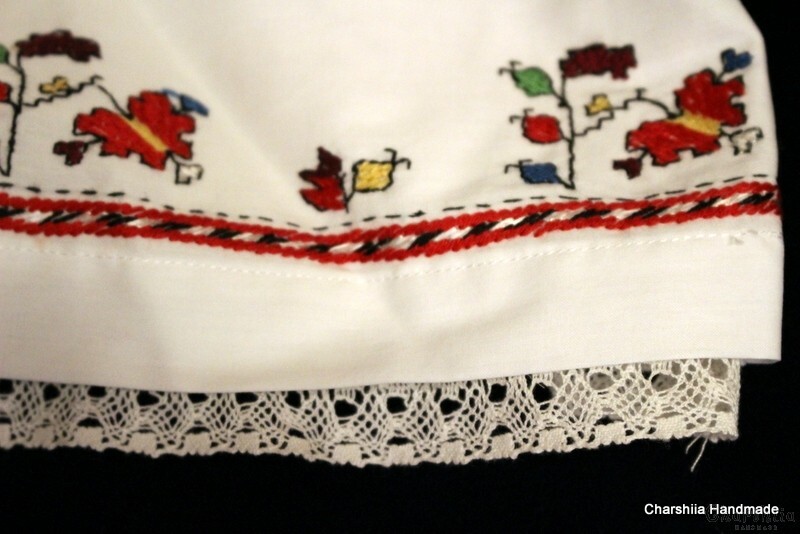 Handmade with identity and unmatched style. 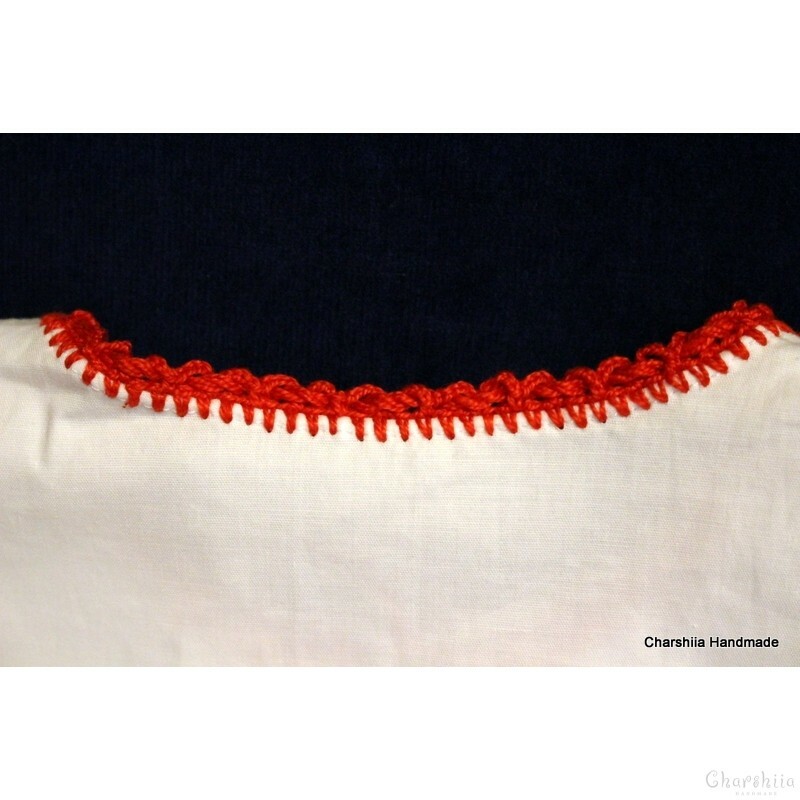 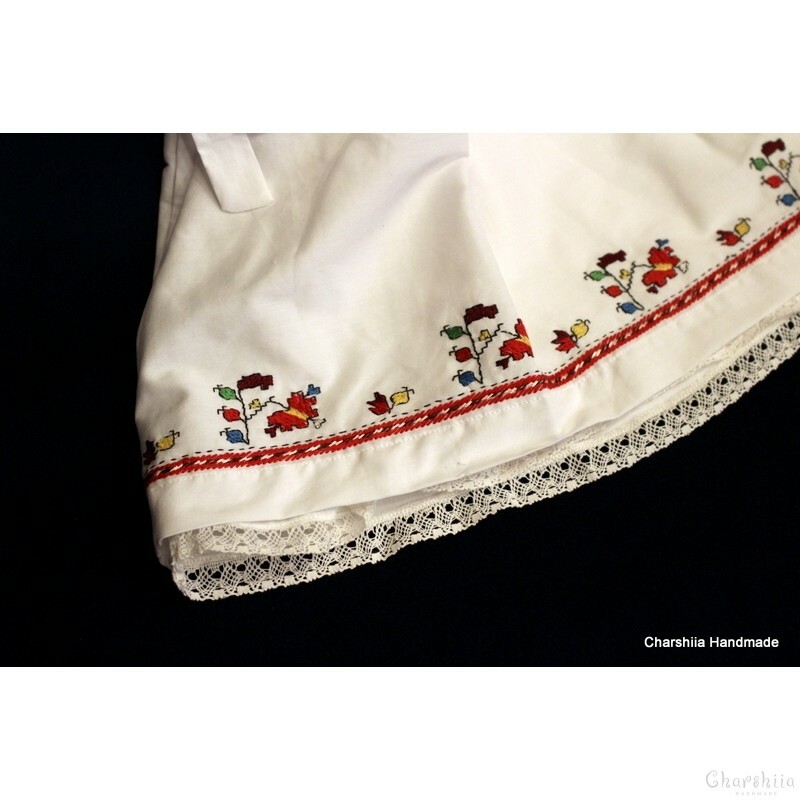 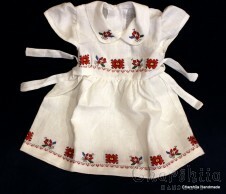 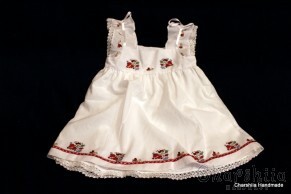 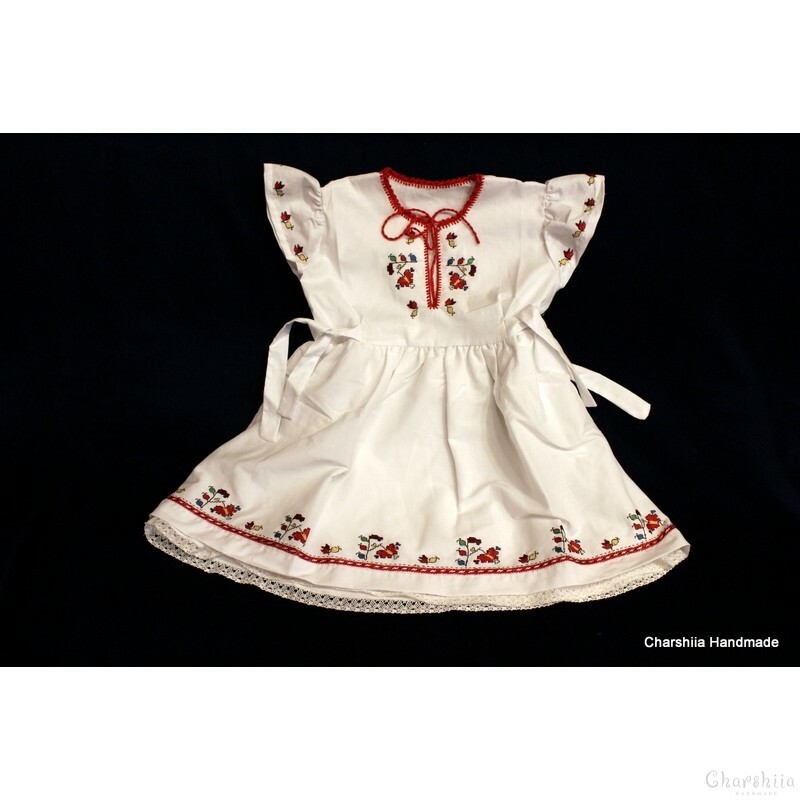 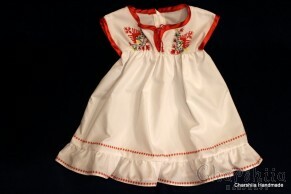 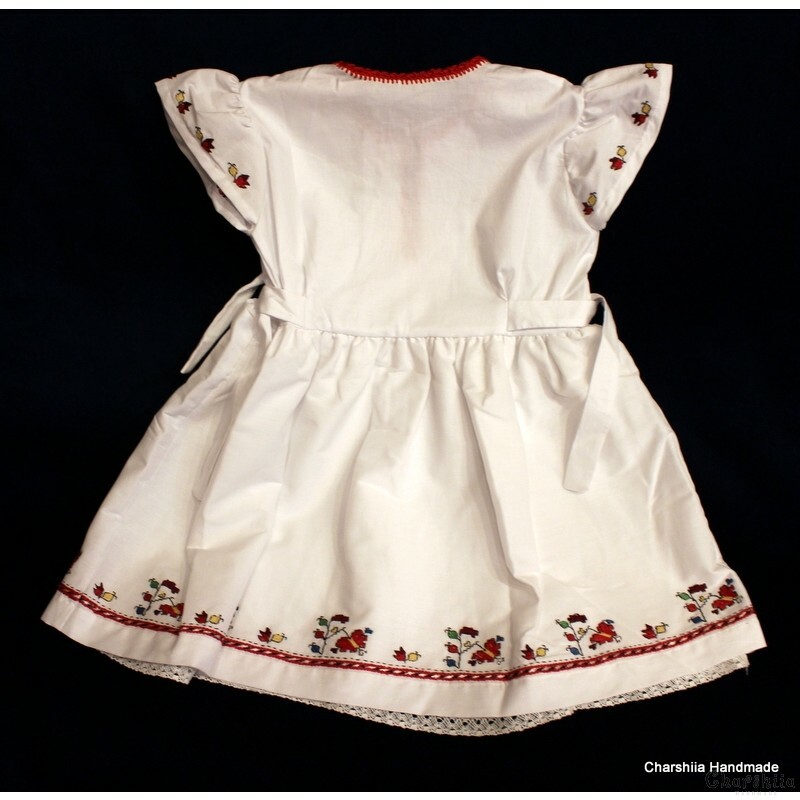 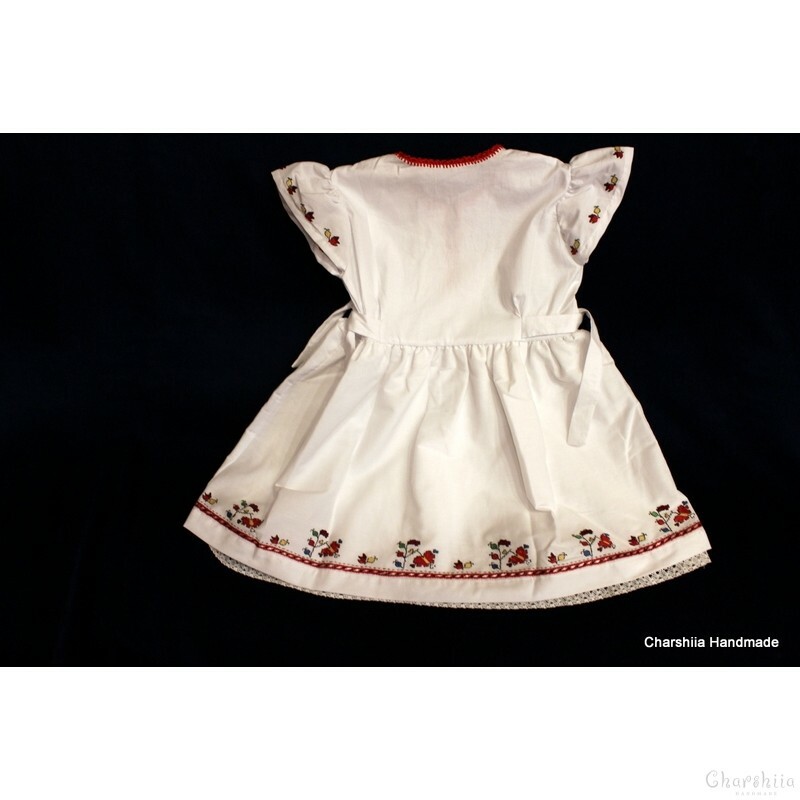 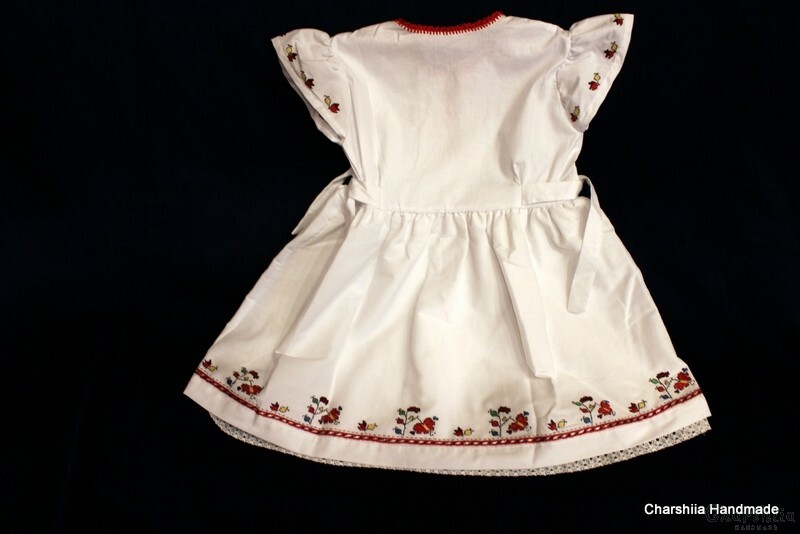 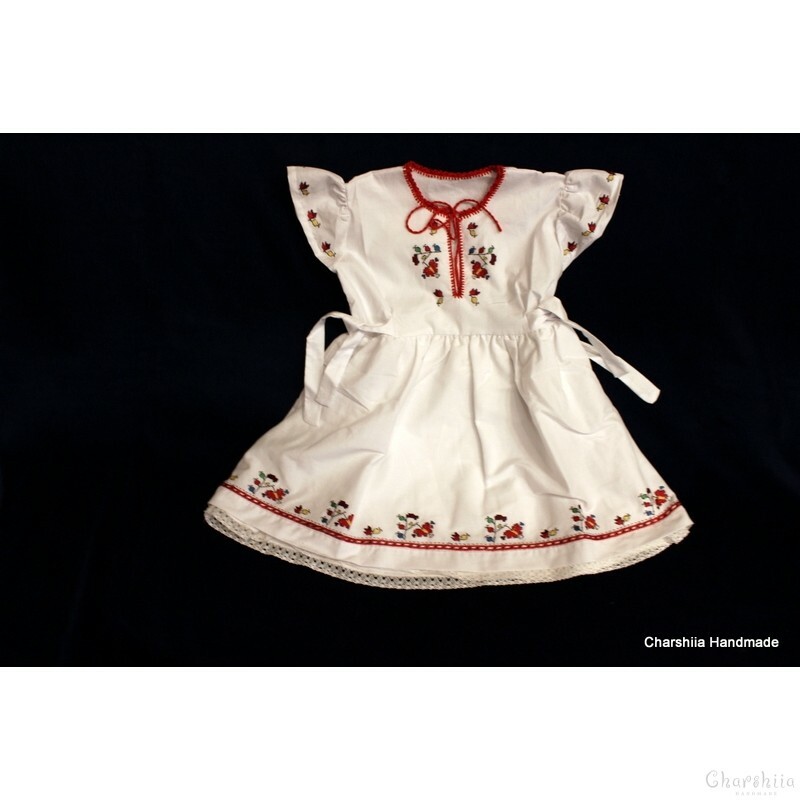 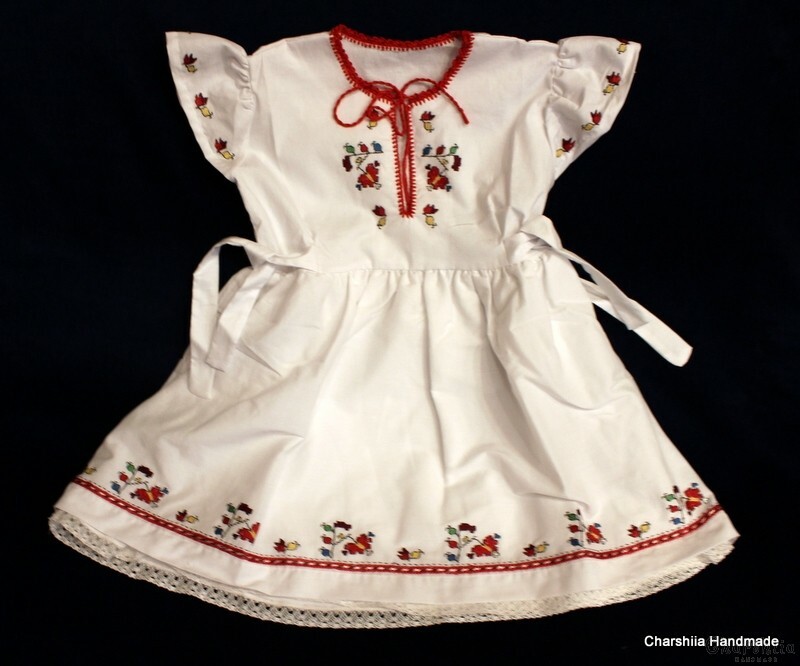 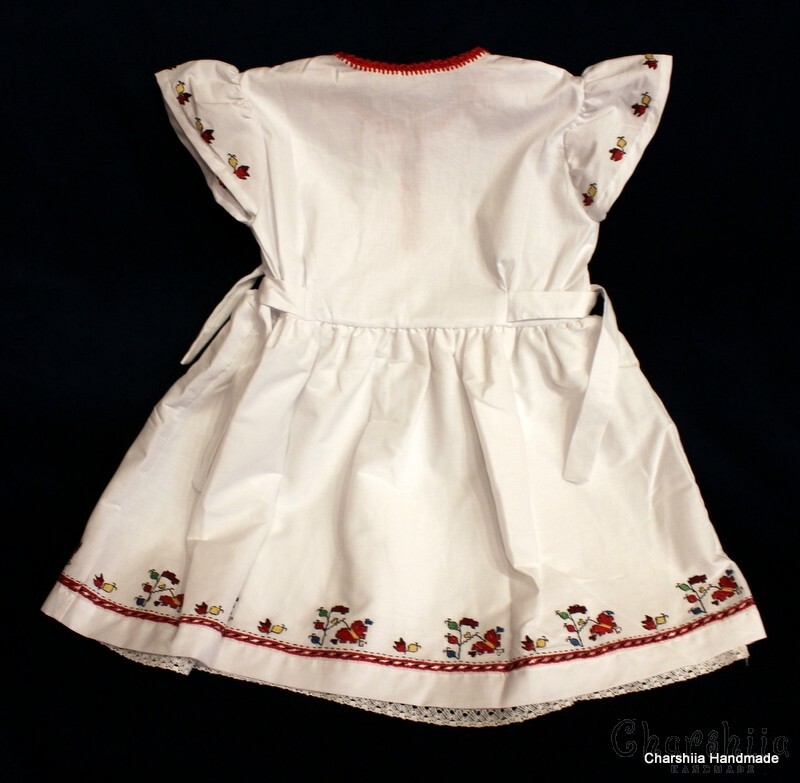 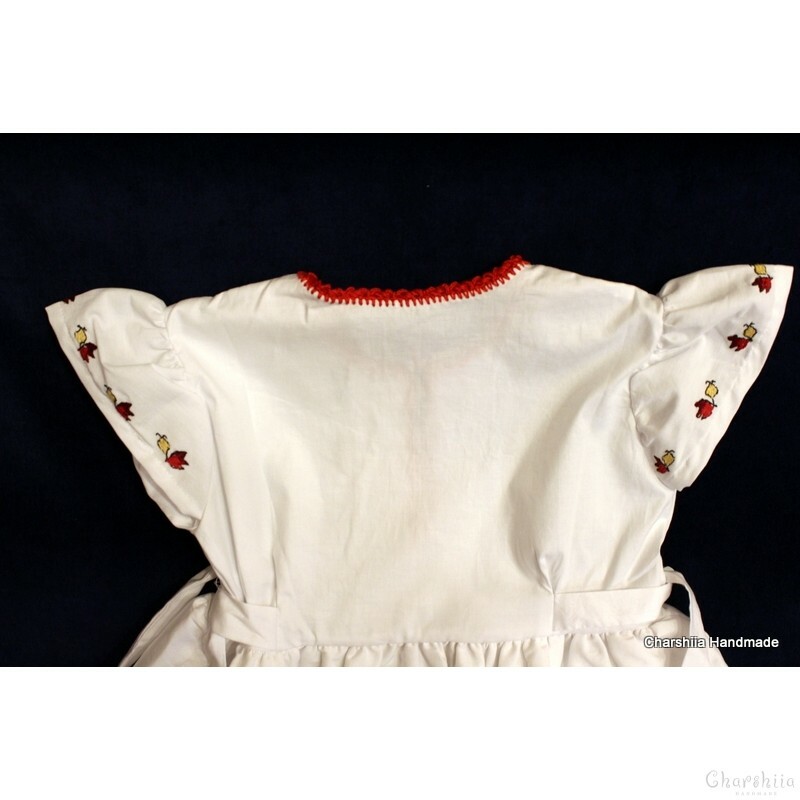 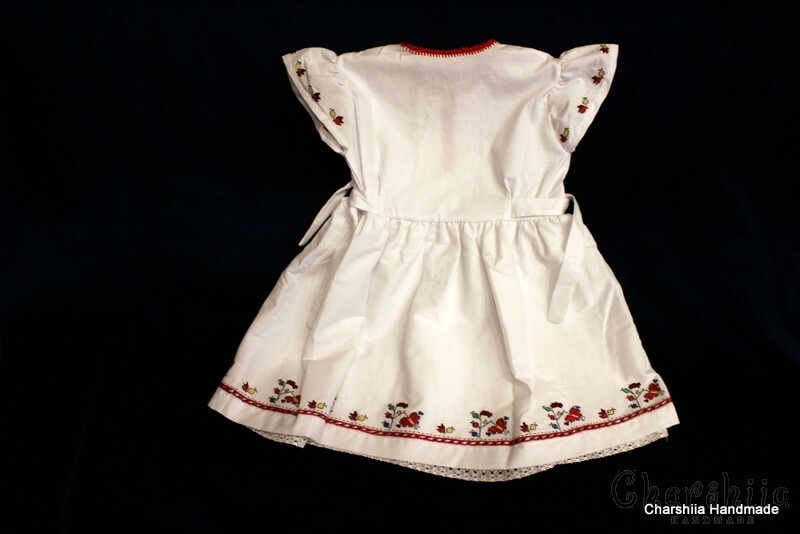 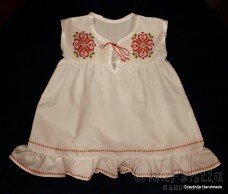 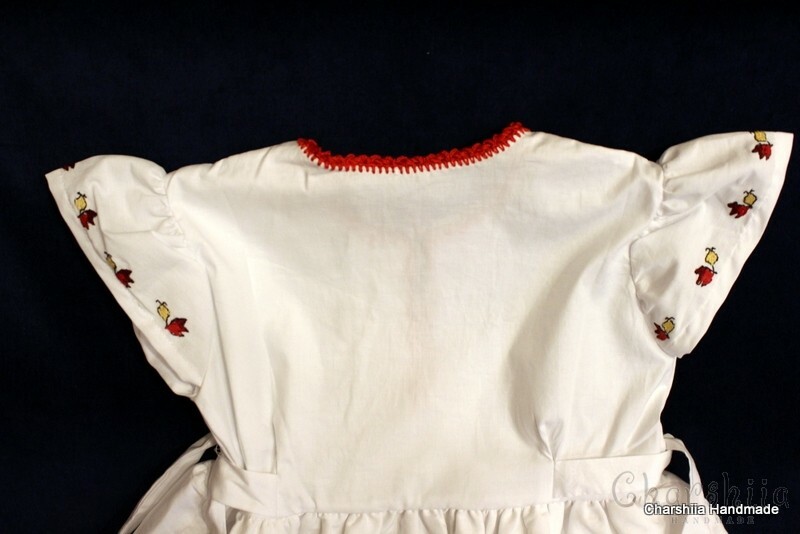 The children's dress was made with much loveand dilligence and focus on detailacquired through years of experience. 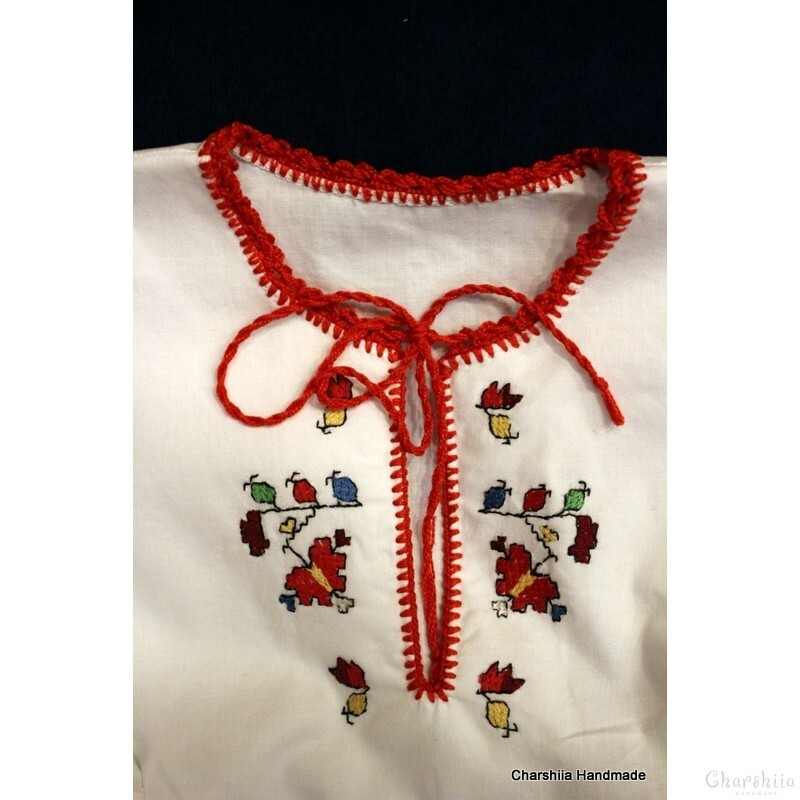 Handmade products will always have their high value and importance as something more "special". 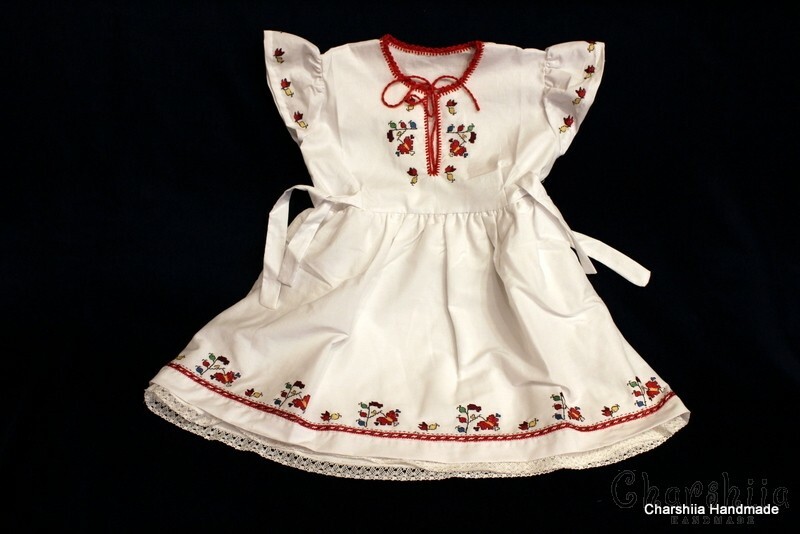 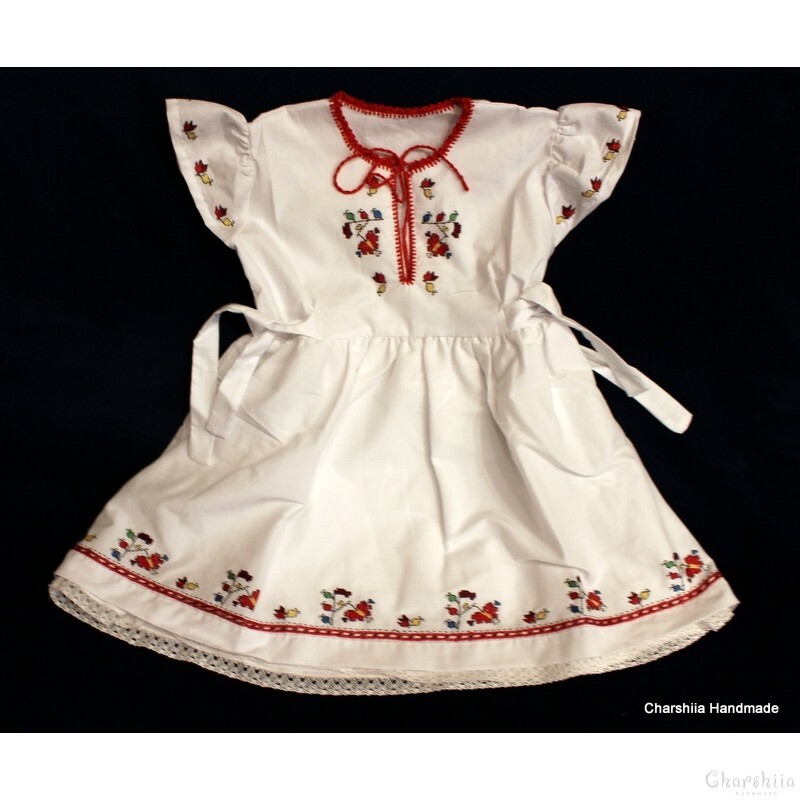 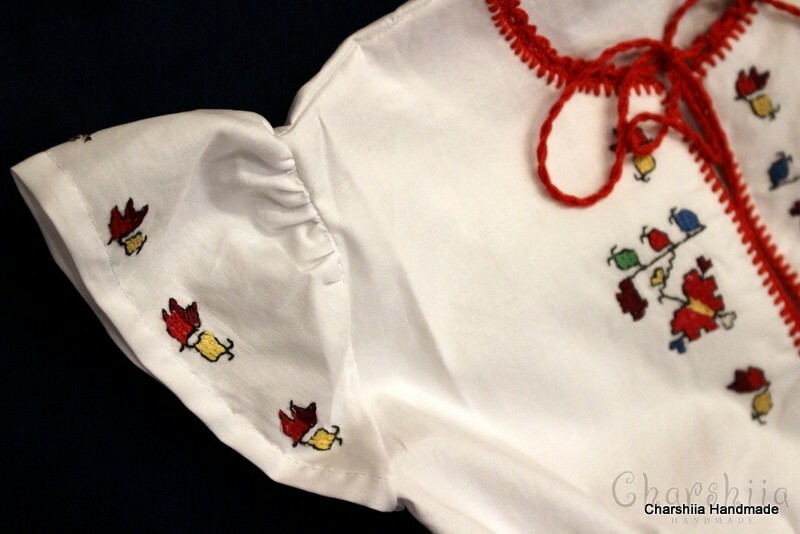 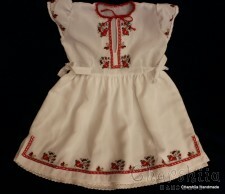 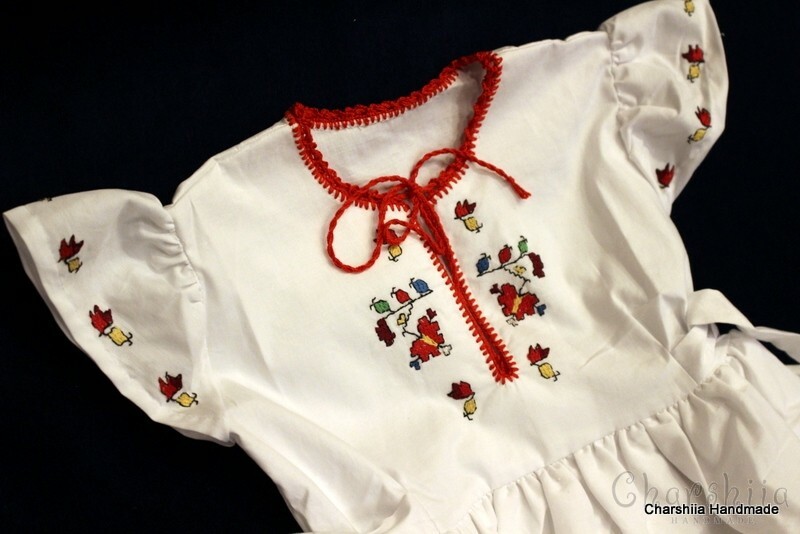 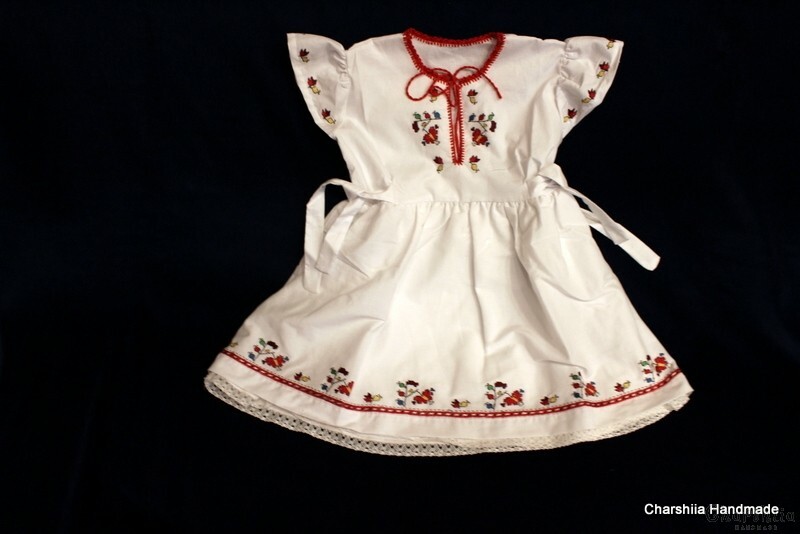 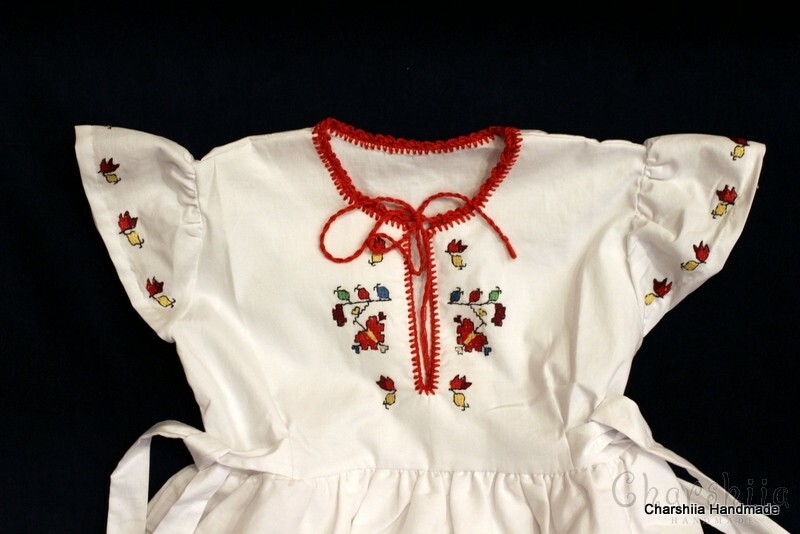 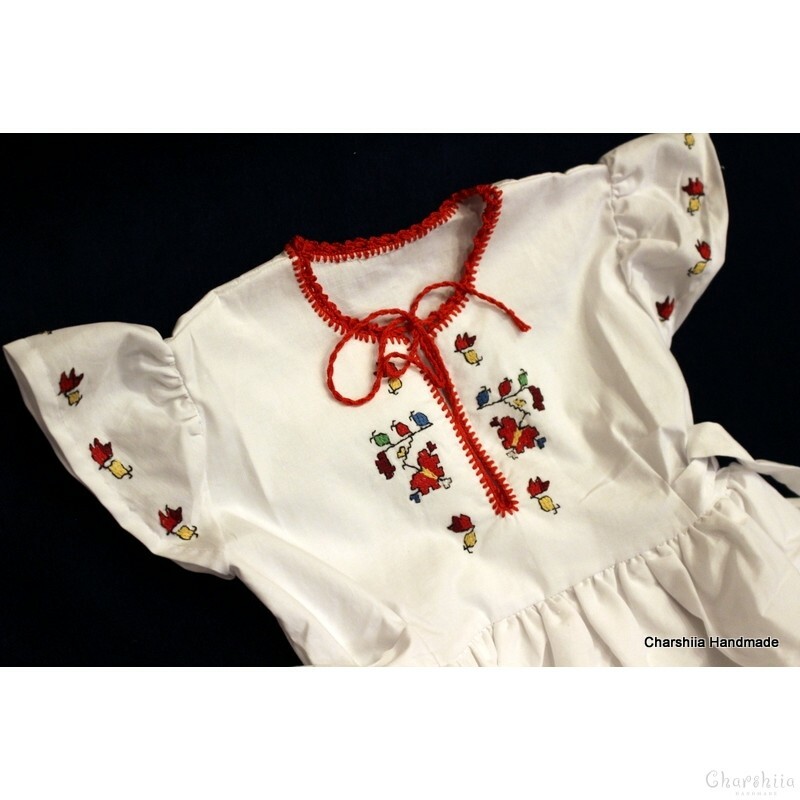 Perhaps your child still has not touched the magic of Bulgarian folklore! 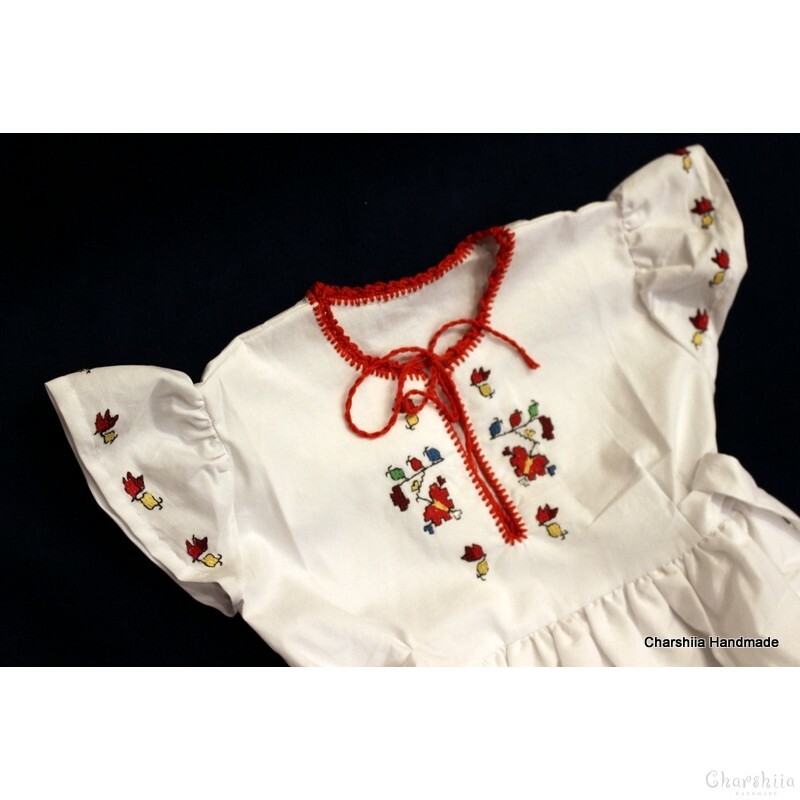 Give a unique gift to your child. 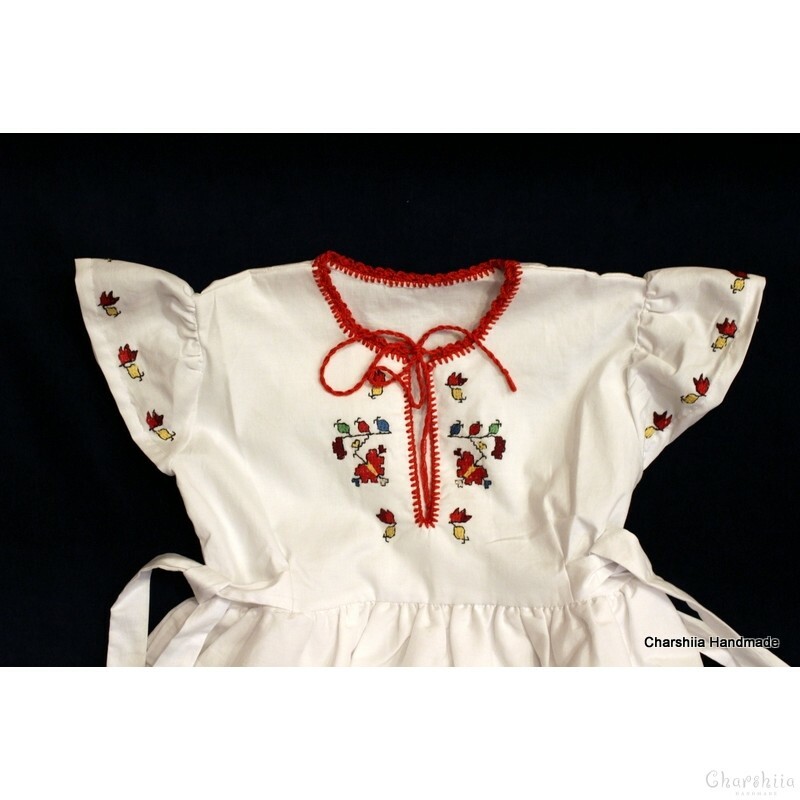 A suitable christening gift, birthday, name day, or special occasion. 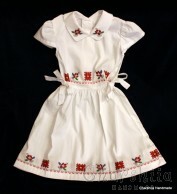 Every feast and every special event are traditionally marked with gifts.Gift for collectors, connoisseurs of beauty. 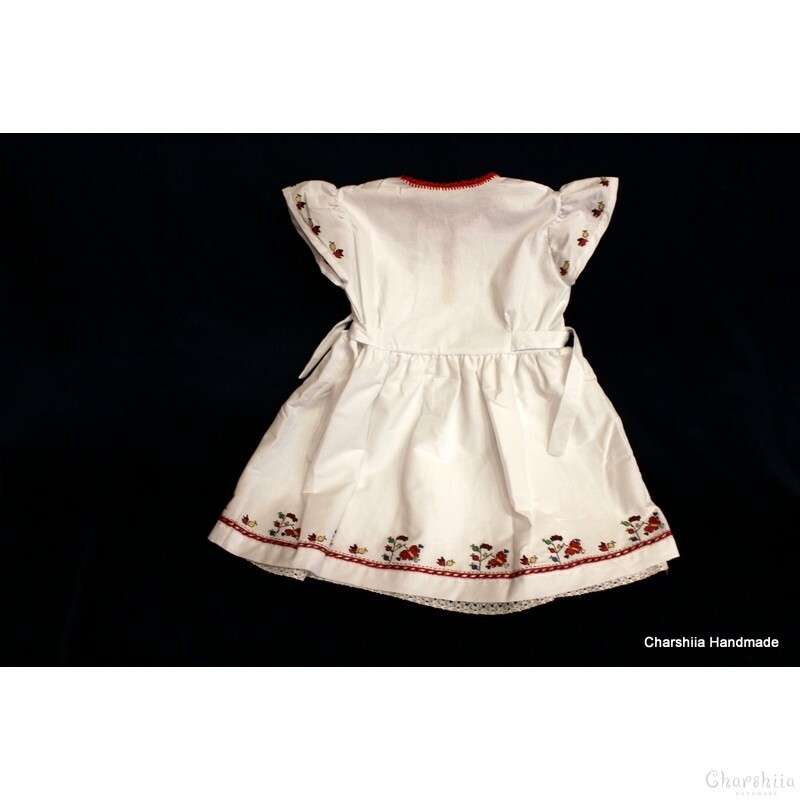 Please, when determining your size, please note that the size chart is tentative! 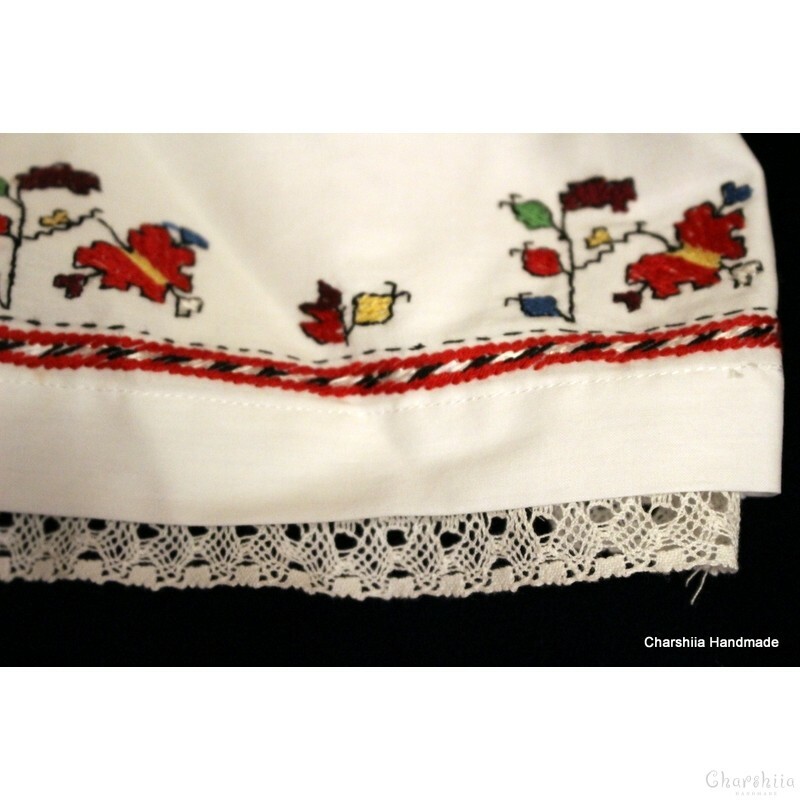 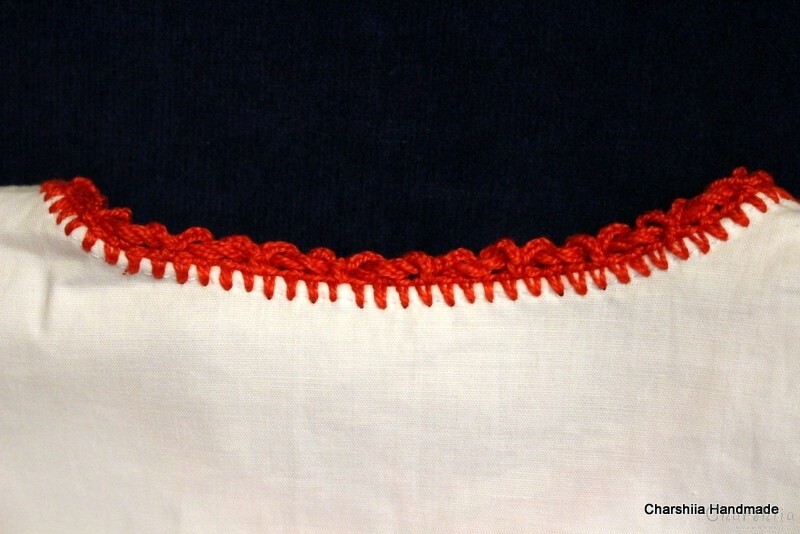 Because the item is handmade, on an order, it is recommended to enter the desired measurments in the notes box on the last step of the check out.